Google did it again… twice, actually. Two algorithm updates, as Internet marketers refer to them, took place over the past few months and the Cuker team welcomes them with open arms. In August, Google launched their largest update since 2010, a core algorithm update called Hummingbird. Hummingbird is more than just an update; it is a radical change that completely redefines how Google understands content and context. The purpose of these updates is twofold. First of all, Google is always hard at work trying to better understand “user intent” in order to deliver more relevant results to their user base. Hummingbird offers a more intricate understanding of the full content and context of longer, more complex search queries (what marketers refer to as “long-tail”). This means that when a user types in a long worded question or phrase, Google now understands the intent or meaning of the whole query, rather than analyzing each word individually and serving up results of websites that only mention those keywords. This is a game changer for SEOs that have focused solely on keyword search volume and high traffic numbers instead of creating valuable content and a great user experience. Penguin 2.1 (a.k.a. 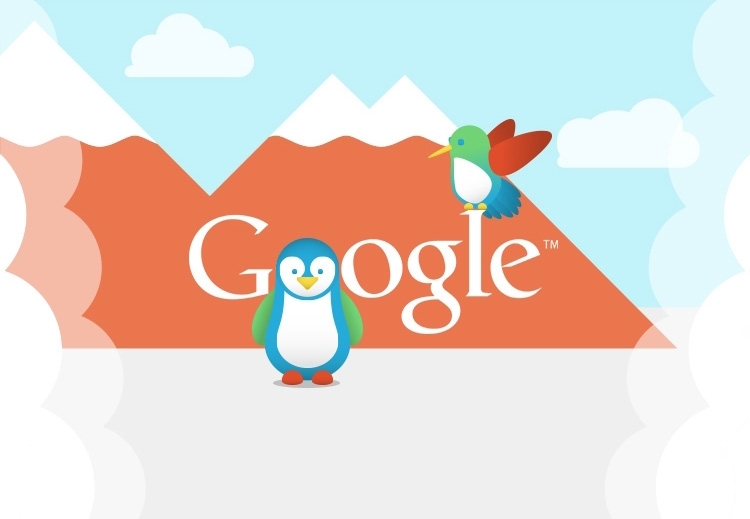 Penguin 5), released earlier this month, is an update to Google’s spam-fighting algorithm. If you’ve followed the SEO industry over the years, then you’re aware of how certain link-building tactics improved organic traffic. But link-building (among other things) was easily and quickly abused, sending low quality, “spammy” websites to the top of the search engine results pages (SERPs). Google’s Penguin was released to penalize sites spamming search results, specifically with purchased links. The main takeaway is that through these updates, Google aims to reward sites with content that’s truly valuable to search users. Creating low or even average content just won’t cut it anymore. At Cuker, we focus on creating innovative websites that offer exactly what our customers are looking for: incredible user experiences. Our organic, user-first approach to building brands in a digitally connected world has achieved incredible results for clients and we’re excited that Google is paving the way for only the best brands and websites to secure top rankings. Published on October 25, 2013 .